Solvent free. Provides a flexible, rubberised bitumen, emulsion coating for interior and exterior surfaces. Ideal for preventing water ingress in walls and floors. Can be applied to damp surfaces and does not need a primer. 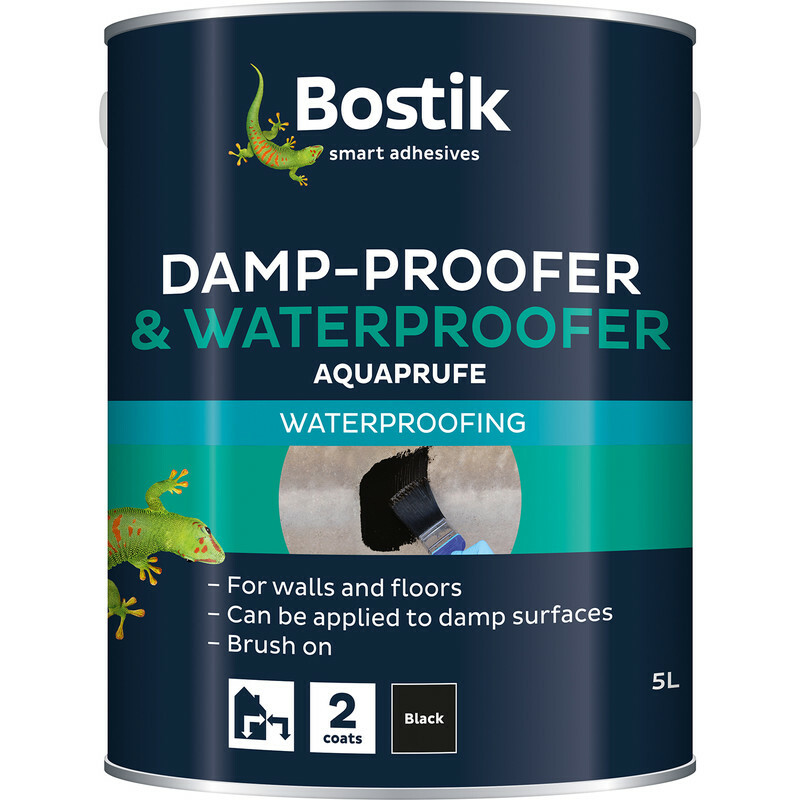 Bostik Aquaprufe Damp Proofer 5L is rated 4.8 out of 5 by 13. Rated 5 out of 5 by Hussey89 from Dries fast and easy to apply smells very strong I brought this product a few weeks ago and just managed to apply it, as iv been busy renovating my house. Its does what it says on the tin easy to apply and dries quick. Rated 3 out of 5 by exonian from Damp squid Easy site to use and product delivered quickly, despite the bad weather. Sadly I found that the description on the web site did not mention that the product remains sticky to the touch when dry. Totally the wrong product for what I wanted. And I bought 2 large tins.